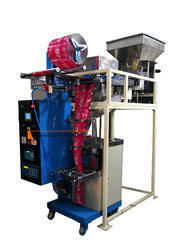 We offer Weigher Machine and Multihead Weigher Machine to our clients at best market price. 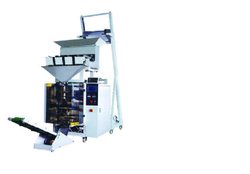 Weigher/Collar type Weigher machines are used to pack Dry fruits and any granule products. We are leading manufacture of Grain Packing Machine. 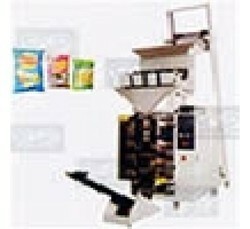 Can be used for various products thus -giving full Utility. We offer Weigher Machine/Collar Weigher(for heavy weight holdind) and Multihead Weigher Machine to our clients at best market price. 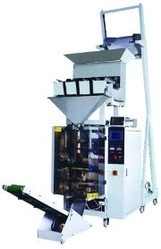 We are the leading and prominent Manufacturer, Importer and Exporter of Dhaniya Granule Packing Machine. 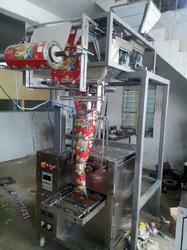 We offer Potato Chips Packing Machine and Multihead Weigher Machine to our clients at best market price. Suitable for packing upto 1kg. Material M.S. body,contact part s.s.
We offer Collar Type Weigher Machine and Multihead Weigher Machine to our clients at best market price. 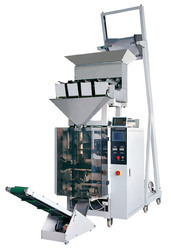 Looking for Four Head Weigher Machine ?